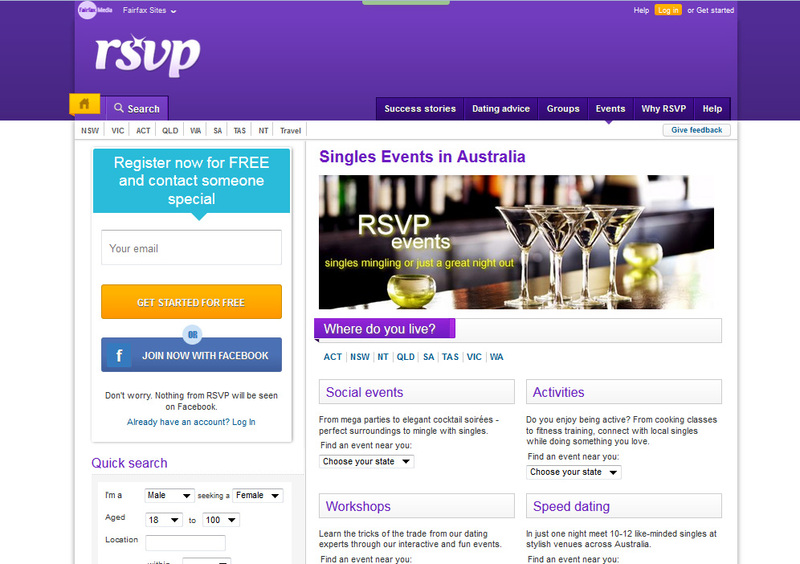 RSVP.com.au is a leading dating website in Australia. It was started in 1997. The site is free to join. Men and women begin their quest to make connections simply by searching for either men or women, selecting an age preference, a gender type, and where they live. The site displays the top 100 men and 100 women on their site. All sexes and relationship status are welcome. With over a million people registered with RSVP, many of them are women who seek "fun," as one member put it. Members are of various ages and groups. If one wants to be discreet about the visit, he or she can sign up for RSViP Private. With this feature you are able to control your visibility. The cost per month is less than $10 and viewers have a choice of four plans, do visit the site for the latest pricing. For those who desire for their profiles to be seen, they will receive RSViP priority. With this service, the profile page will appear at the top of search results. One of the features of using RSVP is its stamp credit system. The way it works is you use your credit only when you want to communicate with anyone on the site you find interesting whether they are a paying member or not. You can send unlimited messages for 30 days. One member didn't have a good experience when it came to purchasing his plan. He claimed that once he paid for his subscription, he found he had to pay again to start a conversation. Another user said the stamps have an expiration date and was unhappy about this. Yet, one woman, who met her partner, of four plus years on the site, said she purchased a small amount of stamps before paying for a subscription. Additional features of the dating website include: mobile apps, chat, a personality report, kiss filters, member compatibility, exchange photos, dating articles, and more. This free personality survey helps singles learn more about themselves. 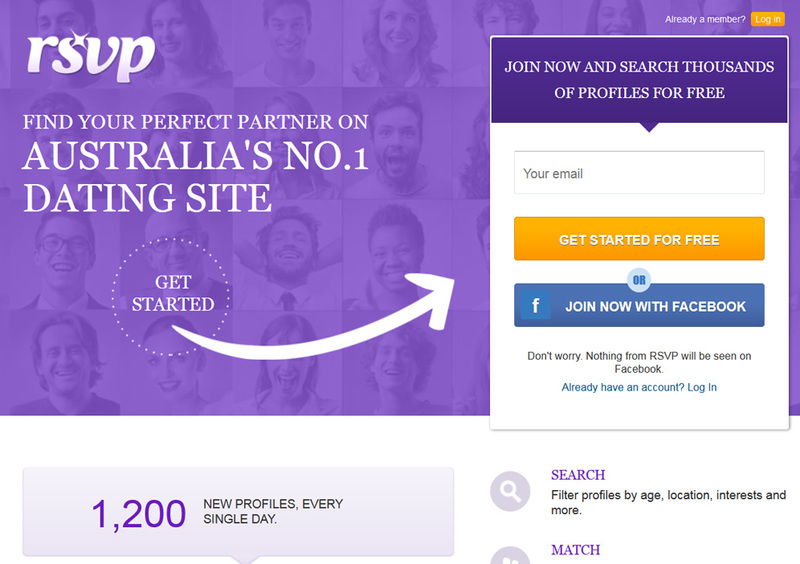 Members can see how they matched with others based on for key personality dimensions as indicated by the website. This mobile app enables users to search and connect with dates wherever they are. Members can also manage their accounts. In the past, RSVP users complained about the site's chat feature. However, improvements have been made in recent years. There is a chat box that allows members to chat while they browse. Members can send messages to one another even when they are not online. If they don't want to chat, they have options not to communicate. If you should sign up with RSVP, do not use an encrypted webrowser like TorBrowser. Paying members had issues with their accounts and didn't feel helped by customer service after discovering that their accounts were suspended for using the browser. 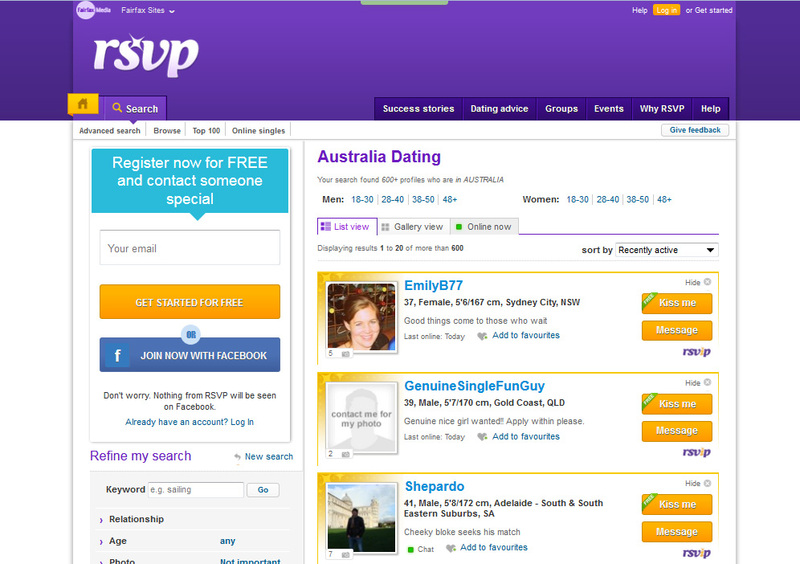 RSVP members are able to refine and favorite searches. They can also share the criteria they are looking for in a partner to get better results. However, one user was disappointed in the matching criteria. Another shared his concern about how draining it was looking at the same profiles, photos, faces, and other information. Profiles are not monitored very well, according to the member, and another shared her experiences finding scammers from other countries. Yet, the optimistic viewers, who did find love, defended the site saying that it wasn't the dating site's fault that people troll and scam people. They talked of meeting some great people on the site. One user hinted that many profiles are fake and advised others not to waste their time and money. In general, the site's popularity is a plus, the features are good and there are many people to choose from; however, like many dating websites, RSVP visitors must be watchful of scammers.